How to Accurately Use a Light Meter in Photography? Accurate exposure is fundamental to creating a high-quality photograph. With an light meter, you can venture into a wide variety of lighting conditions and be confident that you will consistently get good results. You can use an light meter otherwise known as an exposure meter to make selective light readings, to handle unusual and difficult lighting, or to make special creative effects. Light meters, are light measuring devices that are good at doing what the human eye can’t–quantifying light. With an exposure meter you can relate the brightness of light reflected from a subject toward the camera, or the brightness of the light illuminating the subject, to the sensitivity your cameras sensor. The meter expresses this relationship in terms of lens aperture and shutter speed and ISO setting. Most of today’s digital cameras have exposure meters built into them. In a single-lens-reflex (SLR) camera, the built-in meter’s photocell measures the intensity of the light passing through the lens. In a non-SLR camera, the photocell is on the front of the camera body or lens. Some in-camera meters set exposure controls for you automatically, but more expensive models have overrides that enable you to change the camera’s aperture and shutter speed. Some photographers still prefer to use a separate handheld meter because of the added control and flexibility. Whether you use a camera with a built-in meter or a separate handheld meter, the following information will help you to use your meter to its potential to give you well-exposed pictures. We have spoken in previous lessons about the exposure triangle and the impact ofshutter speed, aperture and ISO settings have on exposure. Correct exposure is necessary for getting the best possible picture quality from your camera. However, because of the lack of exposure latitude inherent in digital cameras, exposure can only be off slightly particularly towards overexposure and you could lose valuable data from the image file. The kind of meter you have determines not only how it measures light, but how you should use it. There are two basic kinds of meters: reflected-light (they measure the light reflecting from a subject scene) and incident-light (they measure the light falling onto a subject or scene). Each type has its advantages and its disadvantages. Some meters have accessories that enable you to use them to read either reflected light or incident light. Reflected-light meters that read a wide angle of view are also called averaging meters. 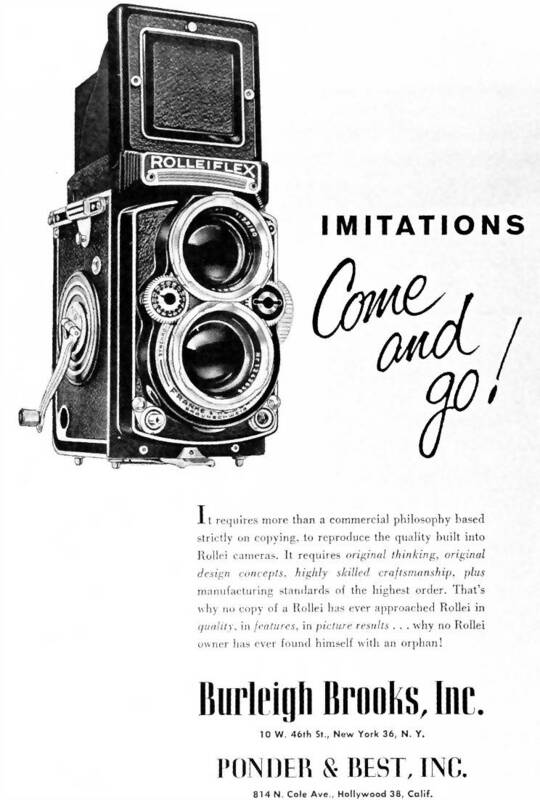 They account for most of the reflected-light meters in use, including those built into cameras. Another type of reflected-light meter, the spot meter, is designed to take readings from only a small part of the scene. Virtually all in-camera meters are the reflected type–they measure the average brightness of the light within the lens’ field of view. As you look through the lens of a SLR digital camera, you can see what the meter sees. Change the lens and you change the area being metered. Most handheld meters are also reflected-light meters. Many photographers prefer reflected-light meters because they can use them to take light readings from the camera position. To take a light reading with a handheld reflected-light exposure meter, you usually stand at the camera position and aim the meter at your subject. To use an incident-light meter, on the other hand, you usually position the meter as near the subject as possible, in the same light that is illuminating the subject, and aim the meter back at the camera. A spot meter has a unique and helpful feature–an extremely narrow angle of coverage. Instead of measuring the brightness of an entire scene, a spot meter measures the brightness of a small area or “spot” within the scene, usually only a few degrees or less. Handheld spot meters have a built-in viewing lens so you can see precisely what part of a scene you’re metering. This feature can be very helpful. Most through-the-lens SLR camera meters are the averaging type, reading the entire picture area. Many read the entire area but are biased for the central part of the viewfinder. The center has the greatest influence over the exposure reading, although the remaining picture area still has some effect on exposure. Other cameras can be switched to modes similar in principle to spot meters; they read only a small segment of the scene. With the advent of advanced electronics, it is possible to make several spot readings that are automatically integrated for optimum exposure. Another type of system offers multi-pattern metering. Also called matrix or segmented metering, these systems work by dividing the viewing area into a set pattern or grid of several segments. The meter reads each segment and makes a comparative analysis of things like subject size and the brightness of each zone. The camera compares this data with programmed information it contains to calculate exposure. This type of metering system can adjust automatically for backlighting, snow and other unusual scenes to give better exposure. Check your camera manual for specific instructions and information about the area of coverage fore your camera’s meter. Both reflected-light and incident-light meters are calibrated to “see” the world as a medium gray. The assumption is that most subjects, most of the time, are of average tone and reflectance. So long as there is an even distribution of light and dark subjects in the scene, correct exposure is usually as easy as pointing the meter or camera at the scene and using the reading you get. But the real world does not always present subjects to you in such a straightforward way. For example, with either a reflected-light meter or an incident-light meter, if the main subject is very dark or very light, the indicated exposure will make the subject appear as a medium tone in the picture. The result will be incorrect exposure unless you apply your own judgement to the information the meter gives you. Use a meter reading as a guideline rather than a dictate for correct exposure. This makes it important that you understand how your particular meter works so you can consistently get good results no matter what the lighting. The place to begin this understanding is the instruction manual that came with your meter or camera. The instructions should familiarize you with the meter’s specific features, its flexibility, and its limitations. Most camera and exposure meter instructions provide the basic techniques of light measurement and mention some of the situations that may “fool” the meter. If you can’t find the instructions, write to the manufacture for them. Once you have set the proper ISO on your camera or meter, you are ready to make the exposure-meter reading. With a reflected-light meter (in camera or handheld), point the camera or meter at the subject. The meter will measure the average brightness of the light reflected from the various parts of the scene. With an in-camera meter, a needle displayed in the viewfinder or an LCD display on top of the camera will tell you when you have achieved the proper combination of lens and shutter-speed settings. If the camera is fully manual. you must set both the aperture and shutter speed. Automatic cameras may set both shutter speed and aperture; or they may set just one of the controls, leaving you to set the other. If you’re using a handheld meter, read the information on your meter and set the camera controls accordingly. An overall exposure reading taken from the camera position will give good results for and average scene with an even distribution of light and dark areas. For many subjects, then, exposure-meter operation is mostly mechanical; all you do is point the meter (or camera) at the scene and set the aperture and shutter speed as indicated. But your meter does not know if you need a fast shutter speed to stop action or a small aperture to extend depth of field. You will have to select the appropriate aperture and shutter combination for the effect you want. There will be other situations where either the lighting conditions or the reflective properties of the subject will require you to make additional judgements about the exposure information the meter provides, and you may have to adjust the camera controls accordingly. A reflected-light meter reading is influenced by both how much light there is in the scene and how reflective the subject is. The meter will indicate less exposure for a subject that reflects little light, even if the two subject are in the same scene and in the same light. Because reflected-light meters are designed to make all subjects appear average in brightness, the brightness equivalent to medium gray, they suggest camera settings that will overexpose (make too light) very dark subjects and underexpose (make too dark) very light subjects. • For light subjects, increase exposure by 1 to 2 stops from the meter reading. • For dark subjects, decrease exposure by 1 to 2 stop from the meter reading. To determine the correct exposure for contrasty scenes with large areas that are much darker or much lighter than the principle subject, take a selective meter reading of only the subject itself. This can be done by moving the meter, camera or zoom your lens close to the subject. Exclude unimportant dark or light areas that will give misleading readings. In making close-up readings, also be careful not to measure your own shadow or the meter’s shadow which may be falling onto the subject. Selective meter readings are useful for dark subjects against a bright background like snow, or for subjects in shade against a bright sunlit background such as someone stood on a beach with the sun lighting from behind them. There is also the reverse of this: The subject is in bright sun and the background is in deep shade. In all these situations, your camera has no way of knowing which part of the scene is the most important and requires the most accurate exposure, so you must move in close so the meter will read only the key subject area. For example, if you want to photograph a person posed on a snowy slope on a bright, sunny day, taking an average reading of the overall scene will result in underexposure. The very bright snow will overly influence the meter and the reading will be too high. The solution is to take a close-up reading from the skier’s face (or a piece of medium-toned clothing) and then step back the desired distance to shoot the picture. Some cameras with built-in meters have an exposure-lock button that you can use when you do this. This technique is useful anytime the surroundings are much brighter or darker than your subjects. Landscapes and other scenes with large areas of open sky can also fool the meter. The sky is usually much brighter than other parts of the scene, so an unadjusted meter reading will indicate too little exposure for the darker parts of the picture. One way to adjust for this bias without having to move in close is to tilt your lens or meter down to exclude the sky while taking your meter reading. The sky will probably end up slightly overexposed, but the alternative would be to find a different shooting position excluding most or all of the sky. There are also graduated neutral density filters that work well in such situations. A neutral density filter absorbs all colors of visible light evenly, and you can position a graduated filter so that the darker portion is at the top of the image where it will darken the sky without affecting the ground below. Bright backlighting with the subject in silhouette can also present a challenge. With the light shining directly into the lens or meter, aiming the meter into the light can cause too high a reading. If you don’t want to underexpose the subject, take a close-up reading, being especially careful to shade the lens or meter so that no extraneous light influences the reading. What if you can’t walk up to your subject to take a meter reading? For instance, suppose that you’re trying to photograph a deer in sunlight at the edge of a wood. If the background is dark, a meter reading of the overall scene will give you an incorrect exposure for the deer. Obviously, if you try to take a close-up reading of the deer, you’re going to lose your subject before you ever get the picture. One answer is to make a substitute reading off the palm of your hand, providing that your hand is illuminated by the same light as your subject, then use a lens opening 1 stop larger than the meter indicates. For example, if the reading off your hand is f/22, open up one stop to f/16 to get the correct exposure. The exposure increase is necessary because the meter overreacts to the brightness of your palm which is about twice as bright as an average subject. When you take the reading, be sure that the lighting on your palm is the same as on the subject. Don’t shade your palm. How do you determine the correct exposure for a high-contrast scene, one that has both large light and dark areas? If the highlight of shadow areas are more important, take a close-up reading of the important area to set the exposure. With digital, keep in mind that you will get more acceptable results if you bias the exposure for the highlights, losing the detail in the shadows. Otherwise you might “blow” out the highlights, in which case you will be unable to recover the lost detail. It is much easier to recover data in the shadow areas of a digital file. But what if the very light and very dark areas are the same size and they are equally important to the scene? One solution is to take selective meter readings from each of the areas and use a f-number that is midway between the two indicated readings. For instance, if your meter indicates an exposure of 1/125 second at f/22 for brightest area and 1/125 second at f/2.8 for the darkest area–a range of six stops–set your camera 1/125 second f/8. This is a compromise solution, but sometimes it is your only choice short of coming back another day or changing your viewpoint, and the composition of the picture, to eliminate the contrast problem. Perhaps the best solution when you need a selective meter reading is offered by the spot meter. Handheld averaging meters generally cover about 30º, while handheld spot meters typically read a 1º angle The angle of spot meters built into the camera are usually wider, about 3 to 12º. The biggest advantage of a spot meter is that is allows you to measure the brightness of small areas in a scene form the camera position without walking in to make a close-up reading. Since a spot meter measures only the specific area you point it at, the reading is not influenced by large light or dark surroundings. This makes a spot meter especially useful when the principal subject is a relatively small part of the overall scene and the background is either much lighter or darker than the subject. Spot meters are also helpful for determining the scene brightness range. A spot meter can take more time to use since it usually requires more than one reading of the scene. This is particularly true when the scene includes many different bright or dark areas. To determine the best exposure in such a situation, use the same technique described previously for high-contrast subjects: Select the exposure halfway between the reading for the lightest important area in the scene and that for the darkest important area in the scene. Bear in mind, though, all films have inherent limits on the range of contrast they can accurately record. Remember too, you can sometimes create more dramatic pictures by intentionally exposing for one small area, such as a bright spot of sunlight on a mountain peak, and letting the dark areas fall into black shadow without detail. Spot meters are ideal for such creative applications. To use an incident-light meter, hold it at or near the subject and aim the meter’s light-sensitive cell back toward the camera. The meter reads the amount of light illuminating the subject, not light reflected from the subject, so the meter ignores the subject and background characteristics. As with a reflected reading, an incident reading provides exposure information for rendering average subjects correctly, making incident readings most accurate when the subject is not extremely bright or dark. When taking an incident-light reading, be sure you measure the light illuminating the side of the subject you want to photograph, and be careful that your shadow isn’t falling on the meter. If the meter isn’t actually at the subject, you can get a workable reading by holding the meter in the same kind of light the subject is in. Because the meter is aimed toward the camera and away from the background light, an incident reading is helpful with backlighted subjects. This is also the case when the main subject is small and surrounded by a dominant background that is either much lighter or darker. • For light subjects, decrease exposure by 1 to 2 stops from the meter reading. • For dark subjects, increase exposure by 1 to 2 stops from the meter reading. You will notice that these adjustments are just the opposite from those required for a reflected-light meter. An incident meter does not work well when photographing light sources because it cannot meter light directly. In such situations you will be better off using a reflected-light meter or an exposure table. If the scene is unevenly illuminated and you want the best overall exposure, make incident-light readings in the brightest and darkest areas that are important to your picture. Aim the meter in the direction of the camera position for each reading. Set the exposure by splitting the difference between the two extremes.